This rich collection reveals the character and personalities of Greece and Rome's most enduring work and is an exceptional choice for biography lovers and readers of ancient history. 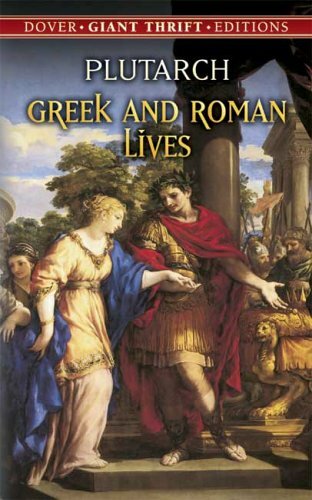 however, for his Parallel Lives of Greeks and Romans, which consists of 50 biographies---23 of prominent Greeks, 23 of Roman leaders, and 4 separate lives---accompanied at intervals by short comparative essays. Although historical information is included in the work, Plutarch wrote it originally to inspire emulation in youth, so the emphasis is on character, moral choice, and anecdote. Sir Thomas North's 1579 translation into English of Parallel Lives became an important source for William Shakespeare which he used for three plays, Julius Caesar, Antony and Cleopatra, and Coriolanus. 13, 1861, at the age of 42.